The My Nintendo loyalty program is getting better. Currently, Gold Points can only be redeemed for discounts on Wii U and 3DS games. Starting in March, players can look forward to applying their points to digital purchases including Switch content. 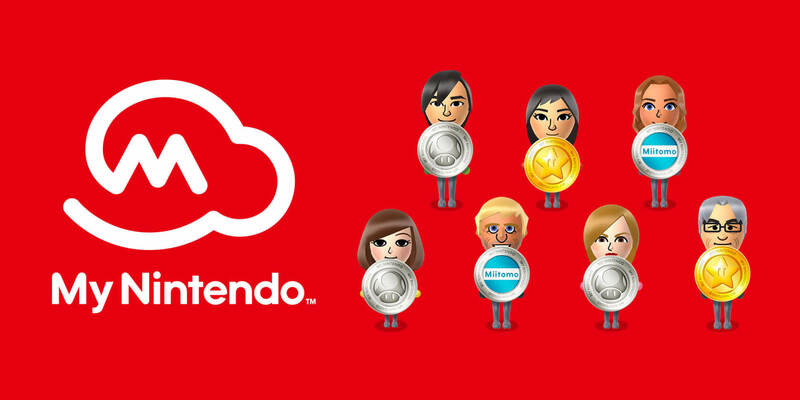 The rewards system has had a hard time living up to its predecessor, Club Nintendo, which was initiated in 2008. The previous iteration of the loyalty system had some pretty cool prizes including physical merchandise. After shutting down Club Nintendo in 2015, the company launched My Nintendo the following year, but gone were the cool physical toys and such. Instead, there were some discounts on old Wii U and 3DS games and maybe some wallpapers, but not much else. The pickings are still pretty slim but are getting better as Nintendo works on improving the system and its offerings. Bringing Switch content into the fold is the latest improvement and will undoubtedly be popular. My Nintendo is free to join and works similar to other rewards programs. Whenever you purchase a qualifying game for the Switch, 3DS or Wii U, you are rewarded with Gold Points. For digital purchases, you get points worth five percent of the price paid (not including discounts or points used). For physical copies of a game, you get a one percent reward. You will also get a few bonus points and discounts for your birthday. All rewards can be used to buy qualifying content including games and DLC. The one caveat is that the points expire after one rolling year. In other words, if you earned some points today, those points will fall out of your balance if you don't use them by this time next year. Nintendo did not specify an exact date that members can start redeeming points on digital content but did say it would activate in early March.